In Scotland, it is estimated that 22% of households own at least one dog, a statistic from the animal charity The Blue Cross. They estimate that there are over 640,000 pet dogs in Scotland, a sure sign that our love affair with the domesticated hound is far from over. Across the country, there are hundreds of dog shows every year but one that is always top of the calendar is The Scottish Kennel Club Dog Show held at the Royal Highland Centre. A must-attend show on the Spring event calendar of this beautiful venue, it’s no wonder promotional models, exhibition staff and event promotional team are in high demand for the show. Why hire promo girls from us? • Established promotional staffing agency – we are a leading Scottish promotional staffing agency, established for nearly a decade. • Impressive experience – our range of experience is impressive meaning peace of mind that we are the promotional staffing agency in Scotland who have the right people with the right skills for The Scottish Kennel Club Dog Show. • Excellent staff – with over 7,000 promotional models, hostesses, hospitality, brand ambassadors and more, we are the go-to promotional agency in Scotland with the skilled event staff to make any event, large or small, a success. • Local – we work with clients across Scotland including events held at premium venues in Glasgow, Edinburgh, Dundee and beyond. This is an important show, with many of the winners going on to compete at Crufts. It’s important that this dog show at the Royal Highland Centre runs smoothly, with competitors, their dogs and spectators welcomed to the event. Promotional models – attractive promotional girls and boys for showcasing products and services with intelligence. Brand ambassadors – showcasing products and services to a wider audience by extending brand engagement and reach with brand ambassadors. Hosts, hostesses and hospitality staff – from after show parties to hosting VIP event, our teams of hosts and hostesses are a perfect choice. Sales and data capture staff – swelling your customer contacts, our sales and data capture staff qualify leads so that post-show, your sales team have a list of leads to pursue. 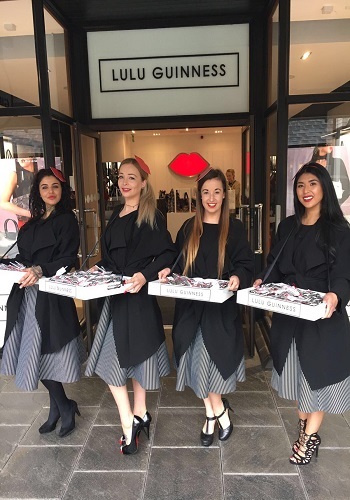 Demonstration and sampling staff – customers are three times more likely to buy from a brand if they are given free samples or an opportunity to engage with marketing staff. Our sampling staff could make all the difference to your order book. These are just a flavour of the services we offer – take a look at our full range of promotional staffing services in Scotland. We also provide administrative and reception staff for events too! 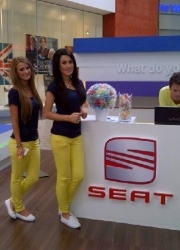 Do you need promotional models and staff for a trade show or event in Scotland? Call the leading promotional staffing agency in Scotland – call us today on 0844 800 0071. Or to hire promo girls and models for The Scottish Kennel Club Dog Show, simply fill in the contact form below for a free, no-obligation quotation. This entry was posted in Exhibition, What's on in Scotland. Bookmark the permalink.